Thick and zesty! 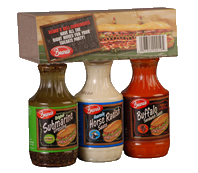 Its thickness and extra cling make it perfect for sandwiches, burgers, wraps, quesadillas, fajitas, or as a dipping sauce. 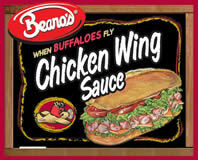 Now you can enjoy the authentic flavor of Buffalo wings on any style of sandwich you choose. 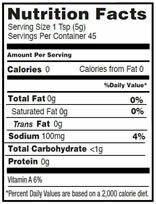 This sauce has the same great taste as our wing sauce, but thicker. It is so thick it won't run off sandwiches or soak the bread. Ingredients: Distilled vinegar, cayenne peppers, spices, salt, xanthan.